No doubt, Guardians of the Galaxy has gone from Marvel’s riskiest film to date to being a sure-fire hit–the only question now is how big of a hit? But with crowd-pleasing trailers featuring Groot, Rocket Raccoon, Gamora, Drax, and, yes, Star-Lord anticipation is high for this film. 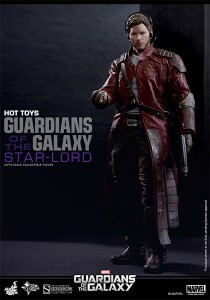 And, of course, what would a new Marvel movie be without Hot Toys based on it? Now the third of the Guardians is up for order–and there’s an exclusive edition! 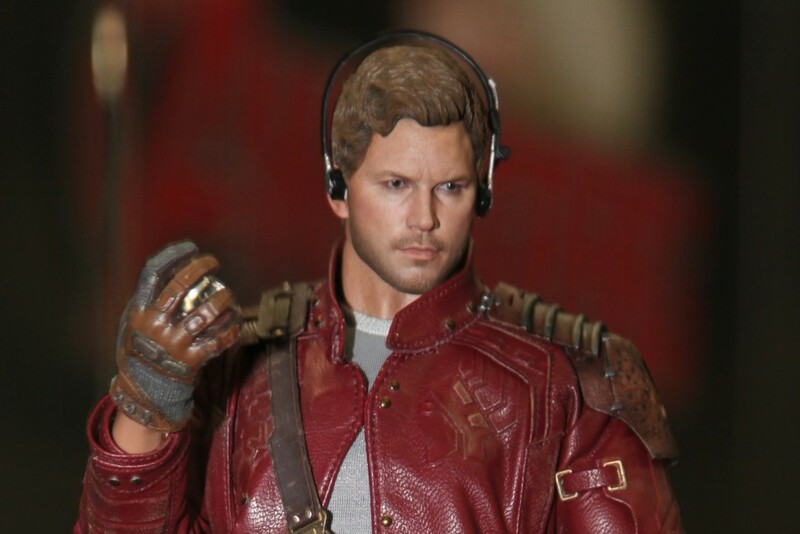 Both versions of Star-Lord come with 5 pairs of gloved palms, 2 guns, a sling pack, a cassette player, and a realistic plasma orb. But if you hurry and get the Exclusive Edition you also get handcuffs and the silver Orb we see Quill trying to steal in the trailer! I’ve seen this figure in person at SDCC (photo above was taken by me). The coat has amazing detail and tailoring. The facial likeness is spot-on. The accessories are intricite. This is a great figure of what appears to be an amazing new character in the Marvel Cinematic Universe.